Adverse reactions to food can be either food intolerance or food allergy. Food intolerance does not involve the immune system and is not dangerous. The example of food intolerance is lactose intolerance where deficiency of lactase, an enzyme that is needed to digest lactose (a milk sugar) would cause malabsorption of milk or diary products. Thus patient with this condition will experience abdominal bloating, gases, abdominal cramping, and loose stool... when they consume dairy products. Other examples of food intolerance are caffeine, tyramine intolerance, spicy food intolerance... A real food allergy involves the activation of the immune system. It can be mild like getting hives, angioedema or swelling, itching around the mouth to more serious in case of anaphylaxis. Those reactions are often immediate, occurring within a few seconds to minutes after consuming the allergic foods. In children, a different variation of food allergy involving immune cells can cause abdominal pain, diarrhea, blood in stool or a septic-shock-like condition called FPIES or Food Protein Induced Enterocolitis. In this form of food allergy, regular food allergy skin testing or blood testing does not help in the diagnosis. It needs special studies. Food allergy is also seen in patients with eczema, eosinophilic esophagitis. 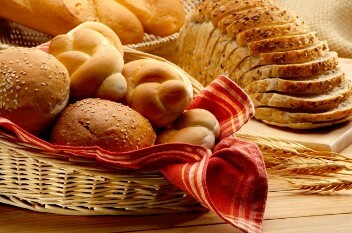 Celiac disease and gluten sensitivity are also in way, a form of food allergy. Diagnosing of food allergy is complicated, tedious and requiring an allergist with expertise in the area to prevent overdiagnosing of the condition leading to a burden of unnecessary food avoiding and carrying expensive epinephrine autoinjectors, an emergency medication for anaphylaxis. One important point is that food allergy testing is not a definite diagnosis, but rather an information giving to a physician about the probability of having an allergic reaction to that particular food. True food allergy is dangerous since reactions can be serious and life-threatening in case of anaphylaxis. Previously avoidance of the allergic food is the only treatment. Many active research trials in recent years have shred light into our understanding of the safety and efficacy of food desensitization that now food desensitization can be done at many allergy immunology clinics. If you or your family have food allergy or suspecting of having this condition, please stop by to discuss with us to see how we could help. Below are services and procedures we offer at Texas Allergy for this condition.